I'm more on twitter at the mo, not one of these every 2 min bloggers, but more active nonetheless. For a bit less of a glacial pace update: www.twitter.com/bruceconlon . Yes I've committed, studio booked in October for the next song. It's been a long patch of reinventing myself, rewriting old and new and also writing a bunch of songs for other people too. And experimenting with a little bit of film. Quite interested myself to hear how it all turns out. One of my favourite places in the world, and the most unknown, I never fully know whats going to happen even if I have a pretty solid idea. Either way I'm writing an loving it, and being a morning person (not very rock 'n roll I know) I'm at it 5am writing each morning. 28 April 2009 - Check out the NEW CTNS video! Also still in the running for the International Songwriting Comptition, stoked! And if thats not enough, the new video for City That Never Sleeps (CTNS) with BBC master Andy bird is looking amazing. Not far now. Sunday, 1 Mar 2009 - Twitter anyone? Well, keeping up with the world is one thing, keeping up with the internet is another. Otherwise the news in short is I'm definitely writing, up at 5am everyday (bizarrely my most creative time), so music is steady flowing. On other notes, will be filming the new video for City That Never Sleeps over the coming weeks so check back here soon. Yes it's true, something for free, unaffected by credit crunch or status. The new video for "It's for you", my 4th single - a story about love, but don't cry on me know. The video was filmed in London and New York, with guest appearances from friends and family and people I've never met. Saturday, December 13, 2008 - Whats been happening? Earning money, in the studio, buying Christmas presents, sorting a ticket to New Zealand for my brothers wedding. More music coming, and definitely a new video. 7 Nov 2008 - Winning Independant Singer Songwriter of the Year.. It's been a great few weeks, the latest news of winning the ISSA Independant Singer Songwriter of the Year was genius, headlining the gig at the legendary Dublin Castle, and of course some small election thingy that happened somewhere where someone became president or something. And just for those of you who have been asking, yes there is much more in the pipeline, I'm writing up a storm at the moment and the toothpaste tube of music will eventually spit them out so some point so you can hear them. Last night was awesome! Thanks to all those who turned out to make it an amazing night. The place was completely full (nearly 2000 people) and to be able to feed off the vibe from the crowd was unbelievable. I'd been ill during the week and wasn't sure if was gonna be able to play but fortunately I felt a bit better yesterday and hauled myself onstage. The band were once again spot on and we just seem to be getting better and better! I've got tons of great photos which i'll stick up early next week for y'all! Well London Fashion Week has arrived and I had an invite to the Valentino Launch party at The Hospital Club. It was a typical fashionista type event, most guys wearing suits (few got themselves dolled up) and ALL the ladies appeared to have spent a LONG time getting ready. The booze was flowing (free bar) and everyone seemed to be people watching. I had just arrived and to be honest never really took much notice of the fashion stuff and this camera crew asked to interview me about on my thoughts of the party. I think I managed to sound like I was interested and hadn't just turned up. My manager and I just enjoyed the free food free fizz and bumpin into beautiful people like Mischa Barton! We met some cool people and have made one very positive connection ... can't sat too much for the moment! Oh yeah and I get to support the brilliant Brooke Fraser next week so it's been a good week! Guys, take care of yourselves and each other! I'm really pleased that I get to support Brooke Fraser on the 26th September at the Shepards Bush Empire. I've got 3 great shows lined up ober the next 6 weeks and looking at adding a few more - I'll keep you all updated. If you've not been to the S.B. Empire before you should pop down as it's a great venue, good size but always has a vibrant atmosphere. If you want tickets you have to go to the Live Nation wesbite, they do cost £17 each but we're gonna put on an amazing show for you all so it'll be well worth it! Thanks to all of you who came down to the Bullet Bar last week, it was great to see such a great crowd and thanks for creating such an awesome vibe! Please keep the 3rd of October free as I have another gig lined up ... more on that to come. Things have been pretty positive lately with my song Two Worlds colliding getting airplay in LA, Canada, New York, Illinois, Germany and of course NZ! I have a few projects on the go (which I'm not allowed to say at present) and hopefully a short film of the NZ tour will be ready and online next week. Keep well and keep listening! I have exciting news, I have a great gig lined up for the 14th August @ the Bullet Bar in Camden. This is the first full-band gig since the album launch in May and it's going to be amazing ... make sure you're there. It'd be great if you could make it and I promise not to disappoint! I'll keep you posted but please keep the date free! Review by US magazine Performing Songwriter, click here. And a nice wee article on Scoop, click here. 14 May 2008 - I just won the Grand Prize as Winner of the USA West Coast Songwriters competition! 28 Apr 2008 - The New Album released TODAY!! 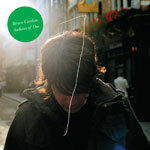 Spanning 2 years, 2 hemispheres and the 3 parts of the globe in New Zealand, UK and New York - the stunning debut album 'Audience of One' from 'Eight's Bruce Conlon is let loose worldwide today. Following the pre-release hit Two Worlds Colliding, and his latest single Long Lost Friend, this revolutionary work has created an electrifying buzz across the globe, and is available on itunes from 28th April, and on CD from 5th May 2008. Please buy your copies this week to help the CD reach the download charts! And next week for the CD chart sales! Out in the snow, in the depths of Michigan USA, in a place called Zealand. (the irony being I'm from New Zealand, but yes this is the other side of the world). Thanks to my good friends Cam and Joel from Special Problems, they braved the elements and created a mini masterpiece I can now call my own. The balloons, the bear, the frozen waves of the lake formed in snow, and the bicycle. Check it out on Myspace and Youtube. The news you've all been waiting for (along with my ma). On the same day that Captain Cook discovered Botany Bay, and in 1442 - King Edward IV of England and who could forget Jimmy Barnes, Scottish-born singer were born. I will share with these great events and release my debut album "Audience Of One". 28th of April 2008 will be the worldwide release on iTunes. And if you are in Auckland region of New Zealand from the 24th of April to 4th of May, you can come along to the exclusive shows to be the first to hear them live. (more details soon). Thanks so much for all your patience. A very memorable day for me. 30 Mar 2008 - Selected Finalist for www.performingsongwriter.com! Man am I stoked about this one - this is a big deal! They have a very talented and intelligent readership, and a huge circulation in the US, and to be chosen means a lot. The gig at the Regal Rooms got a little mention in the London Paper today, apparently Kate Nash was in the crowd ... although I didnt see her! Raucous cheering is always welcome - have a great weekend and well see you at the next one soon! At the moment I'm starting work for the new video (either shot in the US or London). I'll be working with long time friend Campbell Hooper-Maskel who has done the artwork for the album. Can't wait! If you're flying Air New Zealand in the coming months check out my song "Long Lost Friend" in one of their videos, ta AirNZ! Firstly, you are all amazing and I thank you for all of your continued support and patience! Without you this journey would be an extremely difficult experience and I thank the patience you have showed and I promise to reward you all soon! December is a weird month, the music industry shuts down or is planning to shut down for the entire month and a state of perpetual limbo hangs over like a cloud full of snow! All the best with the Christmas shopping madness! Thursday, November 29, 2007 - Who needs the Sun? To be honest it's taken way too long and I know and I'm sorry to keep you all waiting - it'll be worth it I promise! I really am trying to get it out before Christmas so you can fill your stockings - I just don't know at this stage if I can get all the ducks in a row to make that happen but I'm trying my best! I'll let you all know the minute I know for sure. I'm missing the weather back home at the moment as it's been pretty dreary in London. It is pretty novel to have a cold build up to Christmas and I'm not sure if I prefer to the cosyness of the U.K. or the cool beach parties of back home … only time will tell. I'm also loving my Pro-Evolution Soccer game for my Playstation … who needs the sun? Anyway, thanks for your loyalty and for your patience with the album! Firstly, thanks for all of your support, it is very much appreciated and definitely makes this unbelieveably worthwhile! And … thanks for all of you who took the time to vote for me on the Juice TV awards too. Well, I feel like I've changed gear with all of the recent photoshoots for the new album, I'm really pleased with the way they've come out and will be putting up a few teasers on here v. soon. The myspace page will be 'under construction' soon, so keep 'tuning' in to see the exciting developments. However, when I do my next gig I will let you all know! Thanks for your continuing support and keep well. 20 Sep 2007 - Best Solo Artist video nomination for "Two Worlds Colliding" at Juice TV awards!! You might need to register on the site to enter your vote, but it's easy as... Thanks so much to the Juice TV guys too for the nomination, ace. Some of my best mates are in the category too!! Very excited to see my latest single featured on iTunes front page in NZ and Australia, thanks so much to the team at iTunes! Cheers as always for the support!! 18 Aug 2007 - Latest Single "Two Worlds Colliding" hits radio and TV in NZ!! Check it out "Two Worlds Colliding"
22 July 2007 - New video up! Check out the new video for my debut single "Two Worlds Colliding"
Thanks to Adam Jones at Zoomslide for the crazy few days walking round London and all the amazing people that helped our our huge production crew of 2! Great news, I've been selected to play at the Atlantis Music conference in Atlanta, some of music's best have been spotted here..
19 June 2007 - Runner up in International Singer/Songwriter awards! 29 May 2007 - Thanks for coming to the debut show! 28 May 2007 - Selected to play at the London City Showcase 2007! Stoked to announce that I'm playing at the London City Showcase 2007! This is the event that helped launch Razorlight, Keane, Amy Winehouse, etc. Its a FREE acoustic style gig 4th June at the Vans Store, 47 Carnaby Street, London W1F 9PT, 4:15pm. Please come along, be ace to see you there! New video here in London went ace, met some amazing people on the travels... Will put the video up here as soon as poss, will be a few weeks before its finished but well worth the wait. 16 Nov 2006 - New song up! 25 Oct 2006 - My shortest blog. Album is mixed, mastering to go. Happy man. Well apparently I now live in London, yep the letters sent to my address seem to reinforce it. The incredibly interesting people here have distracted me so much that I haven't quite realised that I don't live in NZ anymore. The album is coming together more and more everyday, I've got the feeling some people might enjoy it, I think I might as well. Thanks so much to everyone who have already been so helpful, life is good. Drop me a line. I'm up north at the moment singing vocals then back to Auckland soon where we get ready to fly to London. Yep, 6 weeks until we start in the studio. As with most recording projects that dosen't mean the album is anywhere near ready yet but still it is a start... Got almost all the songs ready to go, still a bit of writing, feeling really good about them.